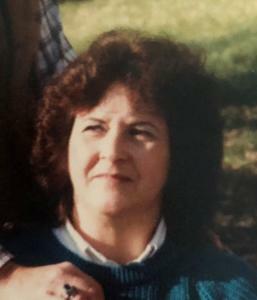 Judith Ann Rossell was born November 23, 1941 and passed away on September 6, 2018. Judy was preceded in death by her husband Bill who she missed every day. Judy loved her family dearly. She loved animals, dogs especially, raising several German Shepherds. She had a very artistic eye, and was a talented painter. She was a wonderful cook, baker, avid reader and a fanatical Red Wings fan; this gave her plenty to talk about. She leaves behind two daughters; Kristi (Vic) Groze, Vicki (Dan) Roberts, four grandchildren; Derrick (Laurelle) Hofman, Lauren Roberts, Chelsea Roberts, Joey (Callie) Roberts and 3 great grandchildren; her brother, Steve (Irene) Karafa and sister, Mary Breuker. Her extended family, nieces, nephews and in-laws included. She will be missed so much, but is now reunited with her beloved. A Celebration of Life will be held Saturday, September 22 from 3 to 5 pm at First Baptist Church, 1066 E.8th St. in Holland. Arrangements are by Dykstra Funeral Home – Mulder Chapel.